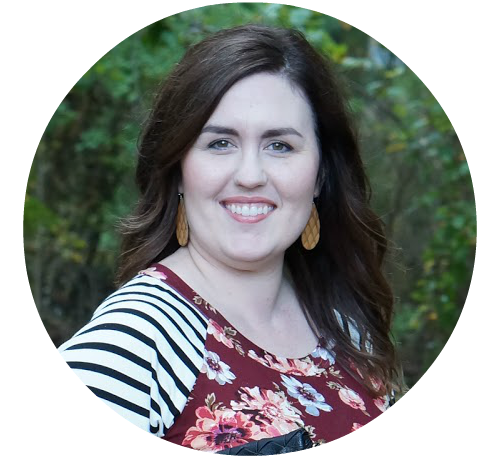 We are nearing the end of the school year and, friends, I’m just going to be honest. I might be more excited than my kids! Of course my kids are ecstatic that summer is finally within our reaches, and I am right there with them. Everything about summer is so fun — sprinklers, barbecues, and ice cream. The list goes on! Ice cream is at the top of our list of snacks, so we couldn’t be more excited about the new packaging for Blue Bunny® and their fun flavors. Their brand new packaging allows you to see the flavor swirls. I love it! 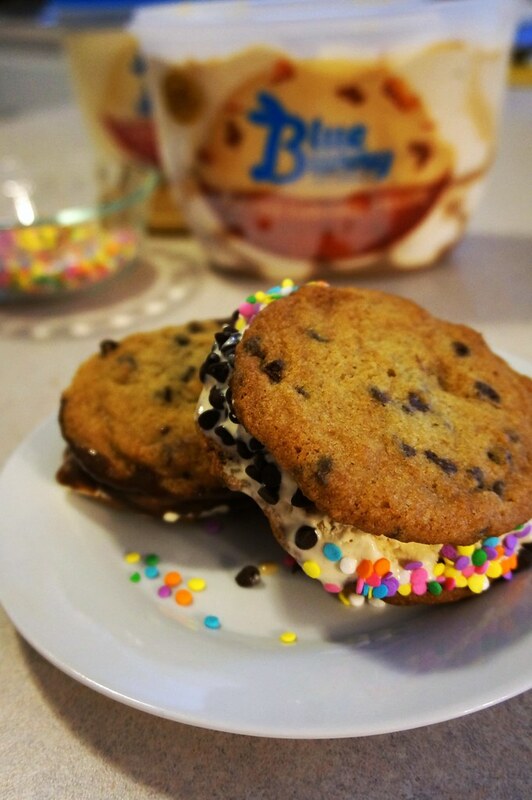 We recently made a batch of my homemade chocolate chip cookies and made them into ice cream sandwiches with a few of our favorite Blue Bunny® flavors. 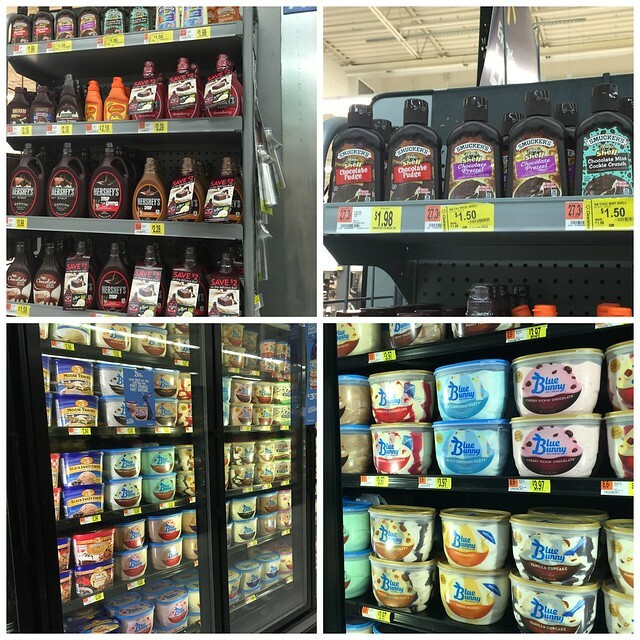 This weekend, I headed to Walmart to get ice cream and some toppings. 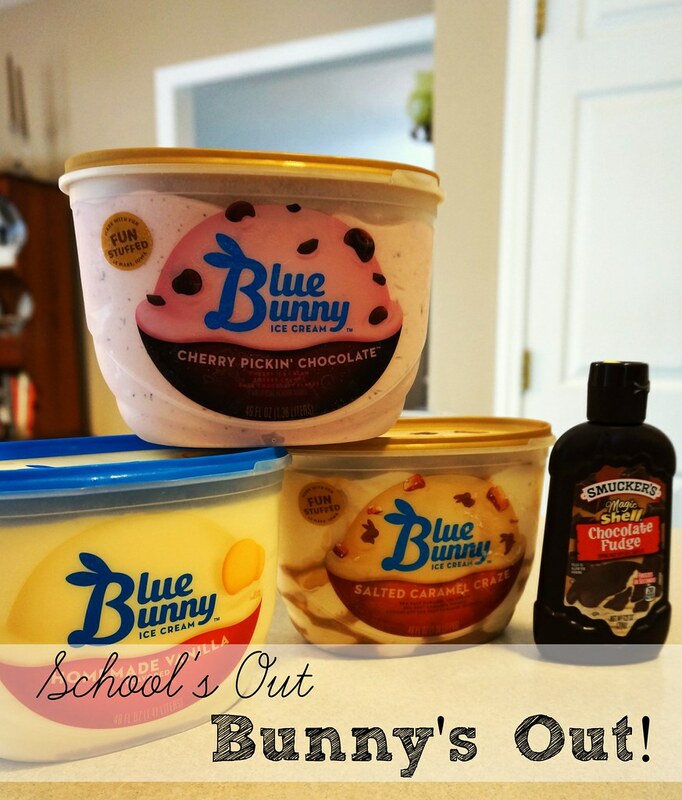 I bought Blue Bunny® Cherry Pickin’ Chocolate™, Blue Bunny® Salted Caramel Craze, and Blue Bunny® Homemade Vanilla. I also picked up some sprinkles, mini chocolate chips, and Smucker’s Magic Shell Chocolate Fudge Flavored Topping. 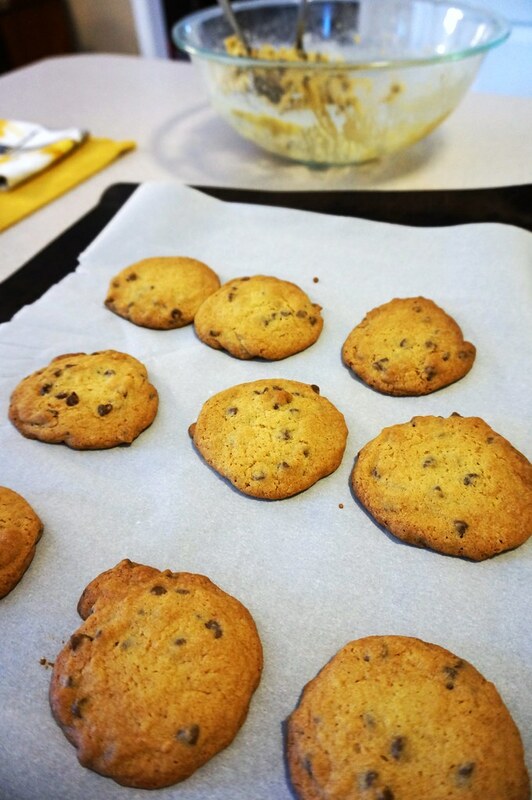 Last year, I shared my favorite chocolate chip cookie recipe. I make this pretty regularly and, to be honest, one batch does not last very long in our house. I change one thing in the recipe to make the cookies perfect for ice cream sandwiches. I leave them in about a minute longer than I normally would so they’re stiffer and won’t crumble against the ice cream. Assembling the ice cream sandwiches is super easy! I’ve found that using a butter knife to spread the ice cream on the cookies works much better than an ice cream scoop. I like to set out a variety of toppings for the kids to decorate the edges of their ice cream sandwiches. One new topping that I got this weekend is the Smucker’s Magic Shell Chocolate Fudge Flavored Topping. It’s so yummy! I do help the kids put it on the sandwiches, since it be a little messy. You can even make these ice cream sandwiches ahead of time and keep them in the freezer for when you need a sweet treat. 2. Cream sugars and butter. Add vanilla and eggs. 3. Combine the dry ingredients, minus the Nestle Toll House Morsels, in a separate bowl. Slowly add to the wet ingredients. 4. 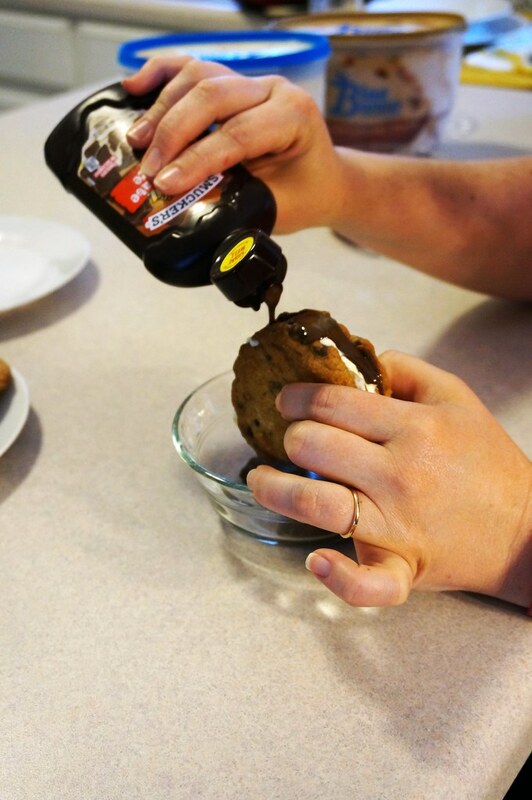 Add the Nestle Toll House Morsels, combine well. 5. Prepare baking sheet with parchment paper. Place heaping tablespoons full of dough on the cookie sheet a couple inches apart. 6. Bake about 10-14 minutes, depending on your oven. They’re done when the cookies are a light golden brown. 7. Let cool, eat, and enjoy!